Last week we heard two reports from a joint investigation on the mining industry by NPR and Mine Safety and Health News. The investigation found that mining companies and contractors owe nearly 70 million dollars to the government for violating federal health and safety laws. But the mines' owners have been able to stay in business and continue to extract coal. Where is the mine with the highest delinquent fines in the U.S.? For that, reporter Anna Boiko-Weyrauch takes us to Kentucky. What happens when mines don’t pay their fines? 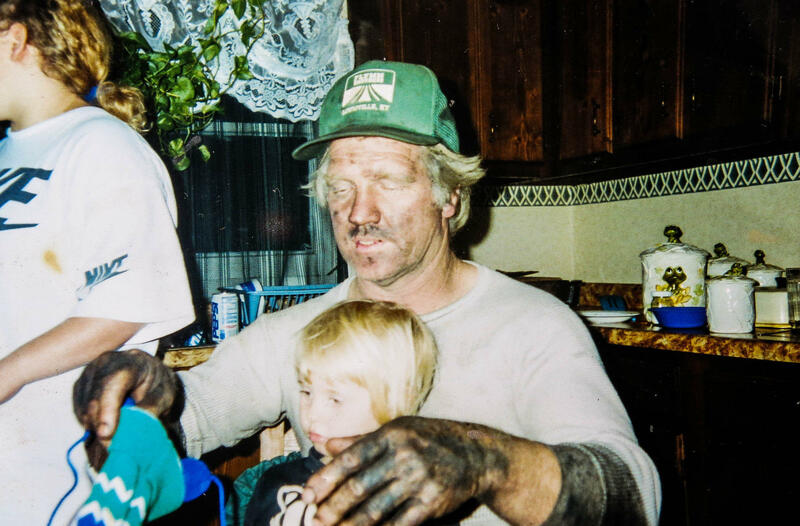 Now a big, bureaucratic failure with real implications for the people who work in mines. Turns out the federal mine safety agency has not collected millions of dollars in penalties for safety violations in the nation's mines. NPR's investigative series found that during the time period when mining companies were delinquent in their payments, they committed 130,000 additional violations. NPR's Howard Berkes examines one last question. Since fines are supposed to deter unsafe practices,What’s in a Name? This town in Appalachia gets its name from a frightening creek that almost swept two travelers underwater. Is it Hell for Certain, KY, Difficult, Tennessee or Deadly, Pennsylvania? Appalachian Project Update: Shane Simmons began researching Appalachian towns as he began working on an oral history project earlier this year. In February, he and his friend Jason Barton began The Appalachian project almost on a whim, when they decided to take a camcorder as they drove across the southern Appalachian mountains on a road trip. We heard from Shane earlier this summer as he and Jason were just getting started. Recently, Shane talked to Roxy Todd about how he and Jason have each put a few thousand miles on their cars. They’ve also both interviewed dozens of people across Appalachia, including 14-year-old Willow Osborne. (facebook.com/AppalachianProject)what can be done to make delinquent mine owners pay up? Finding the Funds to Start a Business in Kentucky: There is funding and assistance available for people who want to grow their own small business, but do enough people know where to find the help when they need it? And how many people want the help that’s out there? This story is from an ongoing series produced byWMMT radio called Making Connections News, which covers examples of the possibilities and challenges we face in rebuilding the Appalachian economy. In this report, producer Sylvia Ryerson tells about some of the resources available for people who want to start a small business in Kentucky. November 29th is the deadline for people in KY to apply for small business funding through www.kybixinfo.com. Exploring what it takes to revitalize southern West Virginia’s Economy:This fall, a West Virginia State Senate Panel began looking at the SOAR program in KY for inspiration as it explores ways to help jumpstart the economy in the coalfields of southern West Virginia. The initiative is called the Southern Coalfields Organizing and Revitalizing the Economy initiative, or SCORE. Rufous Hummingbird in Pennsylvania: Real live hummingbirds are braving the cold and snow in growing numbers in late autumn and early winter in our region. Especially a rust-colored bird known as the Rufous Hummingbird. Back in November 1990, National Aviary ornithologist Bob Mulvihill caught the first Rufous Hummingbird that any researcher had documented in the state. 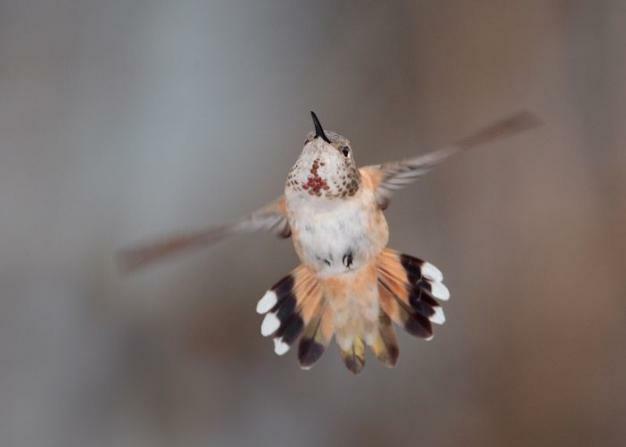 From the Allegheny Front’s Bird Files, Mulvihill has more on the Rufous Hummingbird. With its aerial maneuverability and speed, the Rufous Hummingbird is a match for intruders hundreds of times its size. Music in today’s show was provided by Andy Agnew Jr., The Black Twig Pickers, Stacy Grub and Alan Johnston with Montcoal, West Virginia, Annie Patterson who sang“The L and N Don’t Stop Here anymore”, written by Jean Richie, and Andrea Tomasi with “Falcon Song”. This week, we’ll hear from farmer Peg Taylor, who’s excited that Hemp is being grown in Kentucky for the first time in four decades. But some farmers in West Virginia, like Bill Gorby, say they’re concerned about what hydraulic fracturing could do to the water on their farms. And for What’s in a Name, we’ll travel to a small town that’s famous for its unique hunter’s stew.